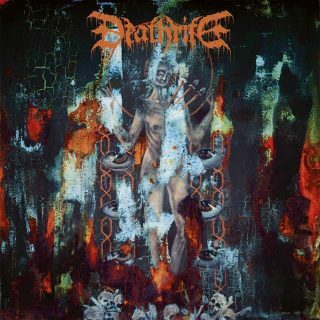 Deathrite : Nightmares Reign album download | Has it Leaked? The Grindcore band DEATHRITE (Germany) will release their new album 'Nightmares Reign' (CD) on November 09, 2018 via CENTURY MEDIA. The new song, titled When Nightmares Reign, is taken from the German death metallers upcoming new album Nightmares Reign which is scheduled to be released in November. Speaking about the new song, vocalist Tony says, “When Nightmares Reign isn’t only the title track of the record, it’s also the opening track, the introduction to a whole new chapter of the band, opening the gates to a “dreamland” full of obscurity, death and evil. Now follow us on a journey into the deepest shades, where NIGHTMARES REIGN!”.